When it comes to classic art, a lot of people may not care enough to have an opinion on it, or they simply don’t understand the cultural history that went into creating such masterpieces that we observe at Art Galleries and Museums across the world. I’m fortunate enough to have seen a lot of art in my early years, and as I continue to grow as a young adult, I’ve come to know such names like: Modigliani, Van Gogh, Jackson Pollock, Picasso, and a host of others. There are millions of works of art that have spawned generations dating back before my parents and even grandparents days, but what if the world had gone a different direction and the art we see today was lost? What would we have known about the people who created murals and artifacts that people marveled at some hundreds of years before? What if the group of men who were assigned to seek, recover, and protect historic pieces of art, failed at doing so? 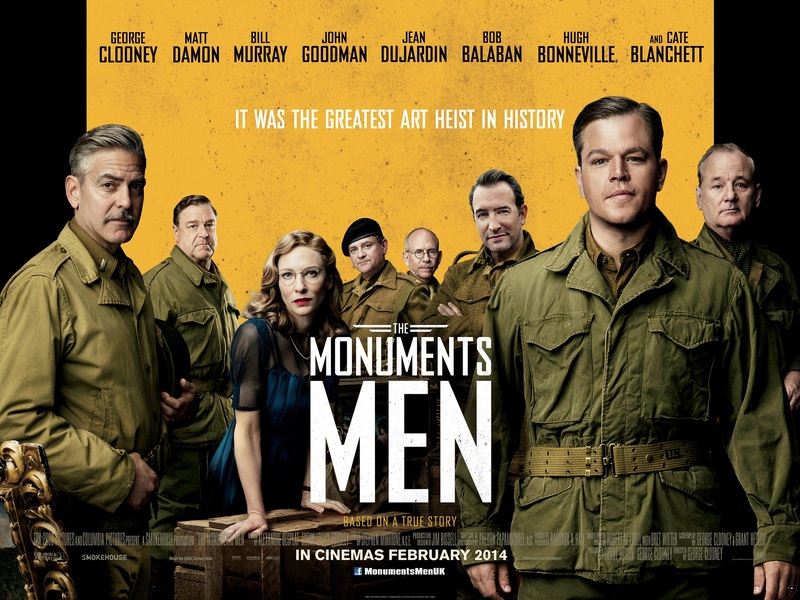 That’s exactly what this movie covers, and through the directorial vision of George Clooney (which is rarely a bad thing), the true story about the men during World War II who risked their lives to save precious artifacts was originally supposed to come out in late 2013, but got pushed back because it wasn’t deemed ready. Greatness can’t be rushed, so I’m glad that this movie took the time out to fine tune before release. A lot of people compared this movie to the likes of Ocean’s 11(due to the star studded cast) and Inglorious Bastards (well…Nazis), and whereas some of those comparisons would be accurate, this movie is funny, dramatic and important in a sense that every piece of art during the WWII era has a story behind it that was (at the time) uncertain with its existence. For me, it made me appreciate the art that we do have and the people who went out of their way to preserve the cultures and the generations for futures to come so that their stories could be told. Art is more than just some paintings that happen to be framed for public display, but yet they’re people’s lives; their way of telling their stories, and giving us (in their future) a glance at what their lives were like.